1. 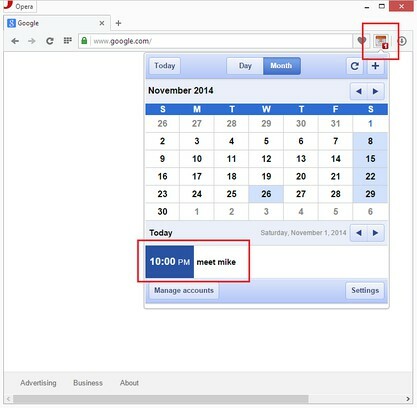 Read or write events in your Google calendar fast and easy from the Opera toolbar popup. 3. Using RSS technology to get the latest calendar updates. 4. Popup stores the user preference for Calendar "Day" or "Month" view. 5. Options page shows the list of events in your calendar.